The mega carnival of cricket, IPL, will be entering in its 12th edition on 23rd of March with a South Indian derby as CSK will be coming up against RCB at the Chepauk stadium in Chennai. And, KKR's IPL warfare will begin on 24th or March with a game against the 2016 IPL champions Sunrisers Hyderabad. With a nice blend of quality batsmen, able all-rounders, and smart bowlers, Kolkata Knight Riders possess a pretty decent squad up their sleeve. The only department where Kolkata lag is the depth in their fast bowling line-up. However, except that, Knight Riders seem pretty balanced. 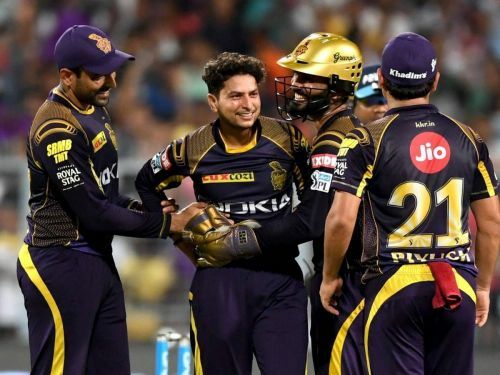 In what is said to be an unfortunate event, Kolkata Knight Riders, in IPL 2019, will be without two of their young pace bowlers - Shivam Mavi and Kamlesh Nagarkoti - owing to injuries surrounding both the players. However, it isn't expected to be much of a problem for Kolkata as they own plenty of options in their bank. Alongside having quite a few experienced campaigners like Dinesh Karthik, Robin Uthappa, Andre Russell, and Sunil Narine, Kolkata also possess a decent mix of youngbloods in their squad. And much so, the performances of these young and budding cricketers will prove to be instrumental for KKR in the forthcoming edition of IPL. Hence, in this article, we look at three youngsters who could be the game-changers for KKR in IPL 2019. 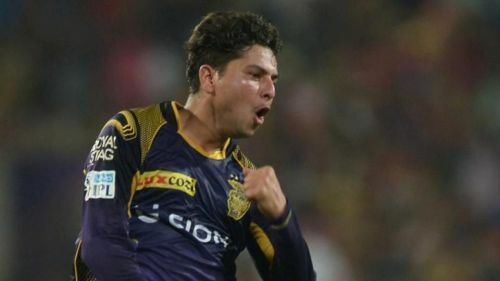 Kuldeep Yadav, a 24-year-old left arm spinner from UP, has been a vital cog at the camp of KKR. With uncanny abilities up his sleeve, Kuldeep has been a go-to spinner for Kolkata in the crunch situations, especially in the middle overs. The young chinaman, alongside Sunil Narine, happened to be Knight Riders' joint highest wicket-taker in IPL 2018. He scalped 17 wickets at a decent average of 24.58, strike-rate of 18.11, and an economy of 8.14 with the best figures being 4 for 20. Kuldeep's majestic numbers speak volumes about his ability and his role in KKR's bowling line-up. Inevitably, the spinner would be hoping to churn out similar sort of displays for Knight Riders in the coming edition of IPL as well. Thus, with minimal doubt and decent form beside him, Yadav would be hoping to turn out to be a game-changing prospect for Kolkata in IPL 2019. Follow Sportskeeda for all the updates on IPL 2019 timetable , news, points table, live scores, orange cap, purple cap and fantasy tips.